Thank you for taking the time to visit my website. Last week I tried out two new recipes that were worth sharing with you all from Fixate. 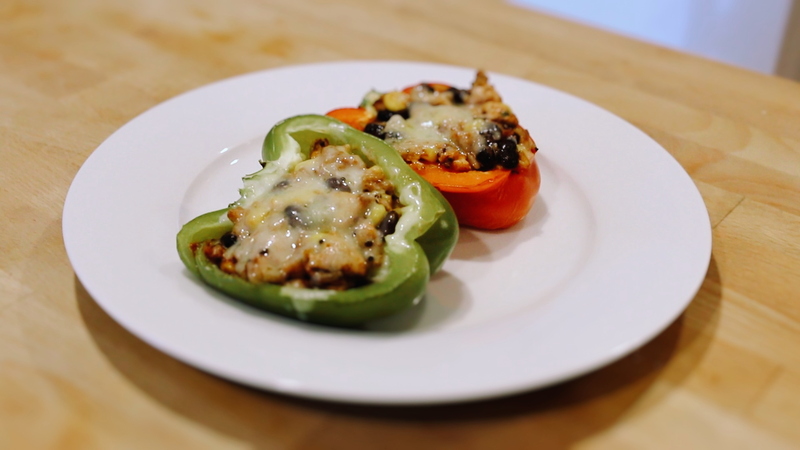 I made chicken stuffed bell peppers which also doubled for breakfast the next morning! 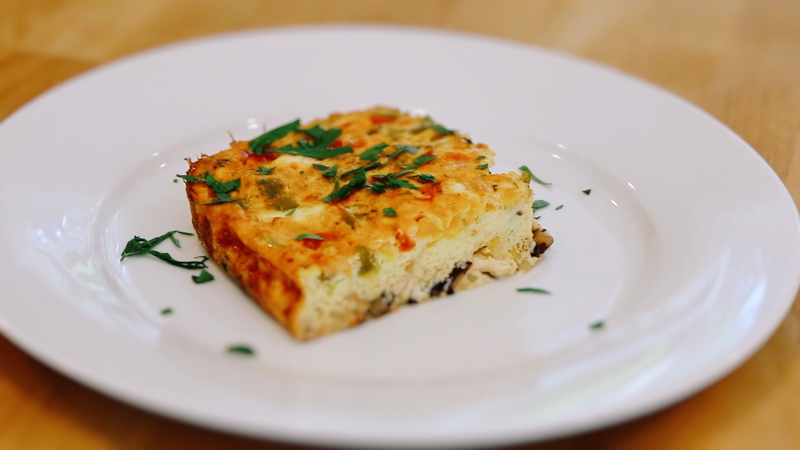 You dice up the leftover stuffed peppers and mix them in with eggs to make a frittata. I am all about prepping food to save time and energy so these two recipes together were really convenient. 2. Place bell peppers, skin side down, in large baking dish; set aside. 3. Heat oil in large nonstick skillet over medium high heat. 4. Add onion; cook, stirring frequently, for 3 to 4 minutes, or until onion is translucent. 6. Add chicken, chili powder, cumin, salt, and pepper; cook, stirring frequently, for 5 minutes, or until chicken is no longer pink. 7. Add tomato sauce, quinoa, beans, and corn. Reduce heat to medium-low; cook, stirring occasionally, for 3 to 4 minutes, or until heated through. 8. Add 2 Tbsp. cilantro and lime juice; mix well. 9. Divide chicken mixture evenly between each bell pepper half; cover lightly with foil. 10. Bake for 35 to 40 minutes, or until bell peppers are tender; remove foil. 11. Top each bell pepper evenly with cheese. Bake for 3 to 5 minutes, or until cheese is melted. 12. Sprinkle evenly with remaining 1 Tbsp. cilantro and hot sauce, if desired. 2. Combine eggs and salt in a large mixing bowl; whisk to blend. 3. Add Chicken Stuffed Bell Peppers; mix well. Set aside. 4. Lightly grease oven-safe baking dish. 5. Pour egg mixture into baking dish. Cover with aluminum foil. Bake for 40 to 45 minutes, or until lightly browned and fluffy. 6. Turn oven to broil. Remove aluminum foil. Bake for an additional 5 minutes, or until top is lightly browned. 7. Cut into 6 slices; serve immediately. 8. Sprinkle with parsley; serve immediately.